Gone are the days when coloring your hair brunette or brown was considered to be adventurous. The trend of late is to color the hair in muted pastel colors like pink, green, lavender and blue. You can either go all out and completely wild by coloring your entire mane in a pastel shade or exhibit your rebellious streak with pastel highlights. Think experimenting with pastel colors and carrying them off is your cup of tea? If yes, then we tell you how to get pastel hair and rock the trend. If you are not naturally blond and have darker hair, then the first step is to lighten your hair color so that the pastel color pigments can catch onto your hair strands. Lighter hues will not “color” hair that is dark in color. So the first step is to rid your hair of its natural pigments and that is done by the process of bleaching. To bleach your hair, buy a bleach kit. The kit contains a bleach powder and peroxide. The peroxide is either in a cream or liquid form. It is best to use cream based peroxide since it won’t cause dripping problems. The peroxide is normally marked 10 volume, 20 volume and 30 volume, depending on its strength. If you have dark hair, then you would need 30 volume peroxide. Light brown hair would need 20 volume peroxide while blonde hair would need 10 volume peroxide. The aim is to get pale/ whitish hair as the end result. Follow the instructions on the bleach kit pack in order to bleach your hair. Do not forget to do a strand test first. Get some help if you have longer hair since doing it all by yourself is difficult. You could even get the bleach done professionally if you are doing it the first time around to see how it is done and also to get the best results before you color your hair pastel. Once your hair is white or platinum blonde, you are all set to experiment with pastel colors. These colors are easy to apply and are semi-permanent. That way, you can keep changing them from time to time, as per your mood or preference. Use a pre-color shampoo to wash your hair and to help your hair strands absorb the colors better. Rinse and skip the conditioner and let the hair dry. You may even blow dry your hair. Coloring your hair pastel does not need a developer and stringent measuring of color. The color is to be simply mixed with a hair conditioner. You would need to use a “white” conditioner for this purpose, meaning a conditioner that does not have any color pigments. Pick the color of your choice. You can choose from a variety of popular brands like Manic Panic, Special Effects or Pravana. Now just take a cup of conditioner and go on adding the color and mix well with a brush. The amount of color you add will depend on the color you want to achieve. Normally, the color you will get on your hair is a shade lighter than the conditioner-pigment mix. Once your mixture is ready, put on gloves and apply this mixture all over your hair, starting with your roots. You can even use your hands to smooth the color in. Wear a shower cap and leave the color on the hair for half an hour to 45 minutes. Rinse off with cold water. You will see some color running off as you rinse it. It is normal and expected. Once you have washed the hair, let it dry. You may want to reapply if the color has not evenly caught on. That’s about it! Try going easy on the shampoo if you want the color to last longer. Use a dry shampoo instead. 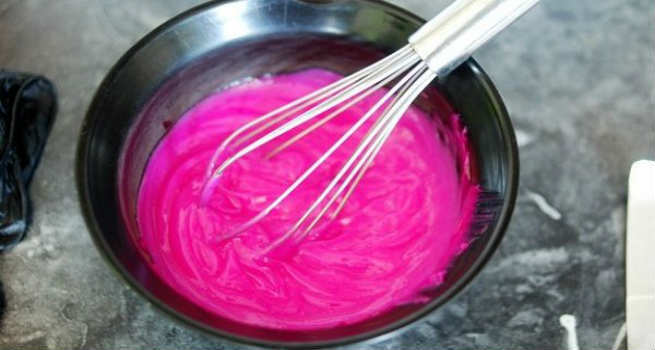 You could even mix some color into your conditioner to strengthen the pigment each time you shampoo and prevent it from fading. There you go! 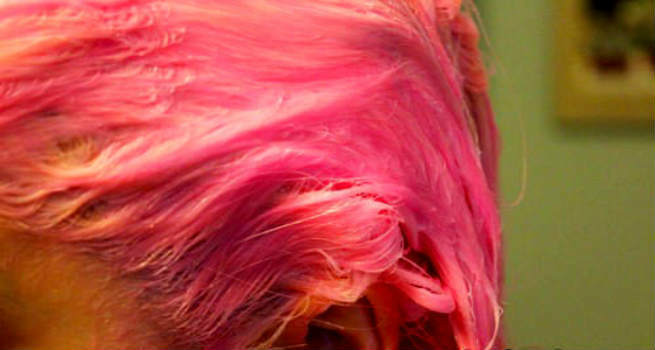 Now that you know how to get pastel hair, tell us if you are adventurous enough to try it?